Reddit, if you don’t already know is a content platform that brings the best of the web together – essentially a social media news platform. Users vote quality content submitted by others up or down through the use of Karma points. These are one of the main dictators to prevent spam. Reddit reduces spam quite simply but providing people with such Karma points for comments and links being voted positively. However, if you spam and receive consistent down votes then you will be restricted from submitting links and articles. Sub-Reddits are areas where people’s niche interests come together and they talk to others interested in similar topics. These Sub-Reddits are run by fans of activities, pastimes or brands. All this sounds great – so how do you effectively build Sub Reddit Communities? This is one of the most important parts of the process and though Reddit is not overt marketing, it is a great place to interact with fans. Encouraging fans to submit content is central to helping your site along as it gives a sense of ownership and interaction with the community. This can be done by holding best content of the week competitions and then rewarding the best with mentions on the site – such recognition means a lot to fans of certain niches or genres. Reddit can be used to really boost customer service too. For example Microsoft has used it to provide Xbox users with a place to ask questions about issues. Sub-Reddit then points people in the direction of the correct places to fix their issues. Reddit does this in a clear and concise fashion and can be a great tool for keeping customers happy. Updates and the latest news are also extremely important and Reddit can facilitate this through its calendar, which allows fans to stay on top of event, as well as links to the news in the main part of the page. This engages fans and allows them to pick up all the latest information from one quick glance at the Reddit page. Such pages have high return rates and all the benefits that come with them. The site is also great for interviews and even Obama’s appeared on there. Reddit allows individual users to formulate questions and the group as a whole to vote them up or down. This can be a great way of engaging people and also growing a community. It also gives them a chance to interact with people they might otherwise not get the chance to talk to. Of course, this has to be done consistently to aid growth, but is very effective. Reddit can really facilitate a tight knit community and one of the best ways to do so is to create a network with a number of niches. The site allows users to create a broad area where there are broader interests, say for example photography – then to create Sub-Reddits inside this to do with sports, nature etc. This allows for a common navigation scheme and also the likelihood of crossover between Sub-Reddits allowing for some great opportunities and encouraging growth. 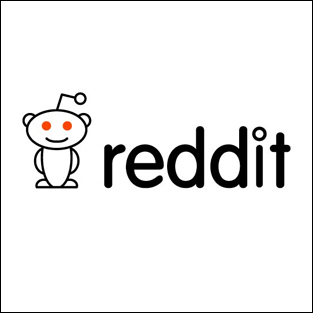 For brands Reddit provides a significant opportunity for organic content driven growth. Have you use it and what do you think if you have?